The IPO market is heating up right now, with some of the biggest companies in tech announcing within days of each other their plans to go public in 2019: Uber, Lyft and Slack. That will no doubt spur other tech companies, even those that haven't raised $1 billion in funding, to also take the plunge. One of those is likely to be Vroom, which announced on Tuesday that it raised a $146 million Series G funding round led by AutoNation. Also participating in the round were funds and accounts advised by T. Rowe Price Associates, Inc., L Catterton, General Catalyst Partners and Fraser McCombs Capital, as well as individual investors. This includes the $50 million announced by AutoNation in October, and it brings Vroom's total funding to date to $440 million. "We're excited that it’s our existing investors, many of whom are board members that have visibility into our performance. 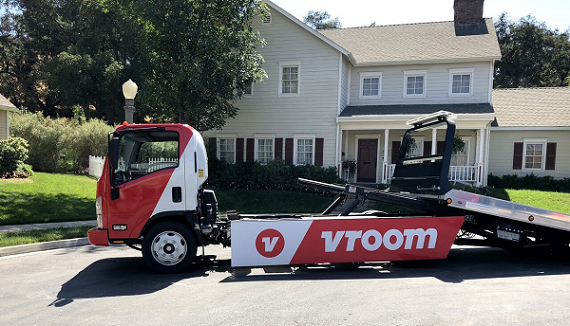 The fact that they continue to invest in the business with a level of enthusiasm and dollars that they did, in addition to AutoNation, that’s what makes us feel great," Vroom CEO Paul Hennessy told me in an interview. "Our model has been validated, both internally with our current book of investors who are reupping, as well as validated by the largest auto retailer in the country. We view that as a really interesting story and something we’re excited about because we're working hard in trenches and then to get validated by a super brand like AutoNation, we think it's great." With an investor like AutonNation, an automotive retailer that owns and operates over 325 locations around the country, and which has sold over 11 million vehicles, the next question is how the two companies will partner going forward. They haven't figured out yet what that will look like, though. "We’re in the early days of trying to figure out what makes sense, but what we all think about is that they’re an absolute leader in both new and used on the, what I could call, ‘traditional retail front,’ so the standard and historic model. We’re an emerging leader in the e-commerce side, so the idea of putting strong automotive with strong e-commerce for whatever areas that we’ll explore together makes a lot of sense. But we haven’t nailed down specifically what we’re going to do together and what that’s worth," Hennessy said. "We’ll want to start experimenting, getting teams together, see where we can leverage what they’ve got, see where they can leverage what we’ve got, we’ll explore that. Right now, the way to think about it is they’re an investor but a strategic investor in an adjacent space, so there’s got to be great synergies there to leverage." Founded in 2013, Vroom allows customers to find refurbished, pre-owned cars online with the exact, no-haggle price, which also includes all local taxes and fees. They order it for free delivery to their front door, anywhere in the country. On the other side of the marketplace, customers can also sell cars on Vroom via phone, just by scanning the car’s VIN, and submitting a few photos and details online. 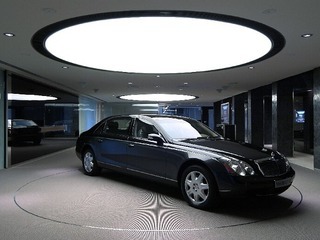 The seller receives an exact appraisal within minutes and will have the car picked the car up at their front door. Vroom provides a 7-day money back guarantee, no questions asked return policy, and a 90-day bumper-to-bumper warranty, coupled with free shipping nationwide. The company also provides financing and warranty and insurance products. This new funding will go toward enhance Vroom's technologies and processes. "We’ve built our platform on top of an experimentation platform, so think website on top of experimentation platform, and creating the entire infrastructure and technology around that has been an advancement we’ve been working on consistently," Hennessy told me. It's technological developments, so far, have included investments in data science, supply science and demand science, which helps determine which cars the company should have in its inventory, what price it should pay for that inventory, and the price it should offer to its consumers. "We’ve got an entire organization that think nothing but around the tech, the data analysis and, ultimately, the execution of what should you see in our inventory. That ultimately allows us to assume the position of price leadership and margin optimization which is good for the consumer, good for the business, good for the investors," Hennessy explained. 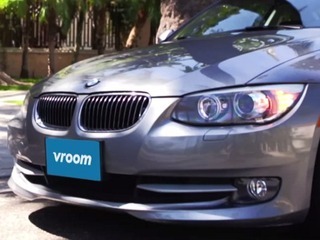 Vroom will also be using the funding to expand customer acquisition efforts. The company recently underwent a redesign of its logo and website through a partnership with design firm Pentagram. Vroom also worked with advertising agency Anomaly to produce an ad campaign running in markets around the U.S.
"Now we’re experimenting in Dallas and Orlando and tuning that content and those placements, understanding ROI, what appeals to customers and what resonates. That would likely be the place where we then start to launch into further markets to compliment a business that’s already been advertising nationally in terms of performance marketing. The next logical step to scaling the business. We’ve already been advertising nationally, and now we’re scaling it with a suite of expanded distribution and media," said Hennessy. Finally, the funding will go towards continuing to building out its team, mostly in engineering and data science, as well as its management team. Vroom recently hired Dave Jones, who spent over a decade at Penske Automotive Group, as its new Chief Financial Officer; Dennis Looney, who worked for Office Depot and Home Depot, as its new Chief Supply Chain Officer; and Mitch Berg as Chief Technology Officer. "In my opinion, at the leadership team level, we’re really building a murderer’s row of a leadership team and that’s going to be a key element. Our team is now a really strong combination of auto e-commerce and seasoned leadership," Hennessy told me. "We brought on a new CFO, we brought on a new chief supply officer, and we brought on a new chief technology officer. Those are folks that really underscore that we’re going after a big supply chain, logistics business, i.e. delivering cars directly to a customer’s driveway. We’re an e-commerce company, and now we’ve got a strong CTO to complement our strong chief product officer, and we’ve an ex-CFO from Penske that understands the automotive world really well and will help navigate private and public markets. The team is really coming together." Over the past few years, Vroom has been getting the business ready for scale, he said, which has meant putting the right technology in place, putting the right people in place, and improving the customer experience end-to-end. That has also included the new brand work and redesign. The next step for Vroom, then, is likely a public offering, which Hennessy said is happening, "sooner rather than later." "We see the public markets are rewarding disruption in automotive space, whether you see it in startups in automous driving or whether you see it specifically our space with companies like Carvana, the financial markets are rewarding that disruption. So, we believe that the public markets are rewarding our model, therefore we probably will operating in public environment," said Hennessy. "We haven’t set a timeline but when we’re ready we’ll go, but I think it’s in a reasonable amount of time, not in five years. I foresee us operating as public company sooner rather than later, because we can be, we have that option, and it’s an advantageous place for us to operate." Welcome to Vroom. The hassle-free, haggle-free way to buy and sell cars online. We help consumers save time, money (and their sanity!) by bringing all three aspects of the car buying process – buying, financing and selling – online in an easy, transparent and affordable way. 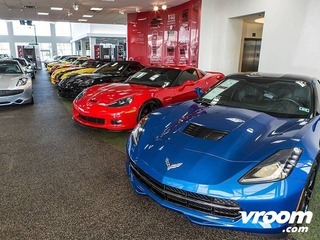 Vroom offers thousands of high quality, reconditioned, pre-owned vehicles with delivery directly to customers nationwide.